On Good Friday, we remember the day Jesus willingly suffered and died by crucifixion as the ultimate sacrifice for our sins. Good Friday is “good” because as terrible as that day was, it had to happen for us to receive the joy of Easter. Jesus endured the cross on Good Friday, knowing it led to His resurrection and our salvation. "House to House" is a great opportunity to meet and form friendships with people in our church by hosting and attending three dinners together over a three month period. Learn more about Dinner Fellowship Groups Today! 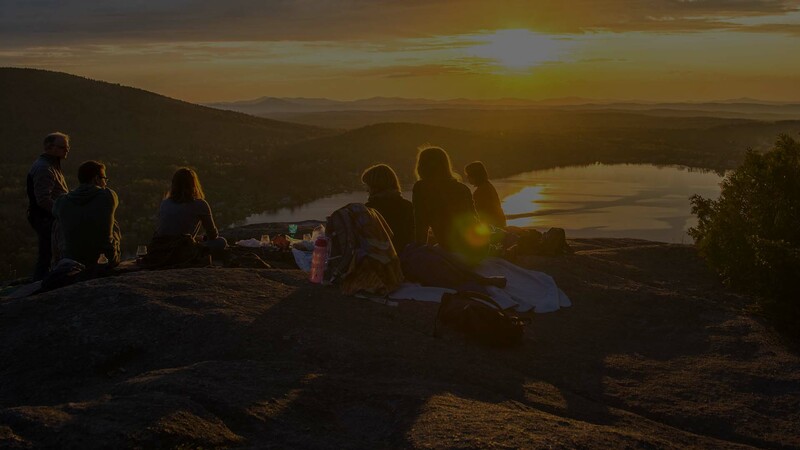 Women's Weekend at Tahquitz Pines Conference Center in Idyllwild, California - June 7th-9th, 2019. Come away to a place of rest, to sit at the Lord's feet, to drink deeply from His Word. Join us for an evening of Baseball and family fun at the Faith & Family Night at Storm Stadium on Friday, July 19th in Lake Elsinore. Gates open at 5:30 PM and game time is 7:00 PM. Join us for pre-game Christian music, testimonies by ball players and more. Don't forget to stick around after the game for the post-game fireworks show. 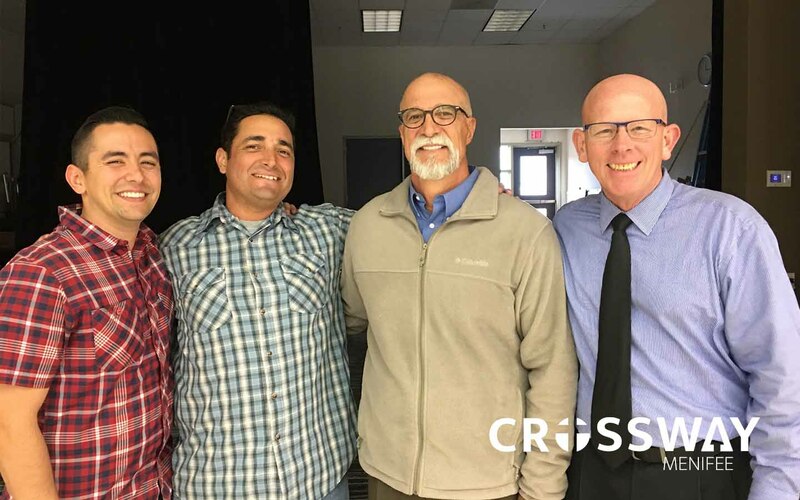 Crossway Menifee is a gathering of believers committed to meeting together to worship and glorify the Lord Jesus Christ, grow in the Word of God, to encourage and exhort one another. 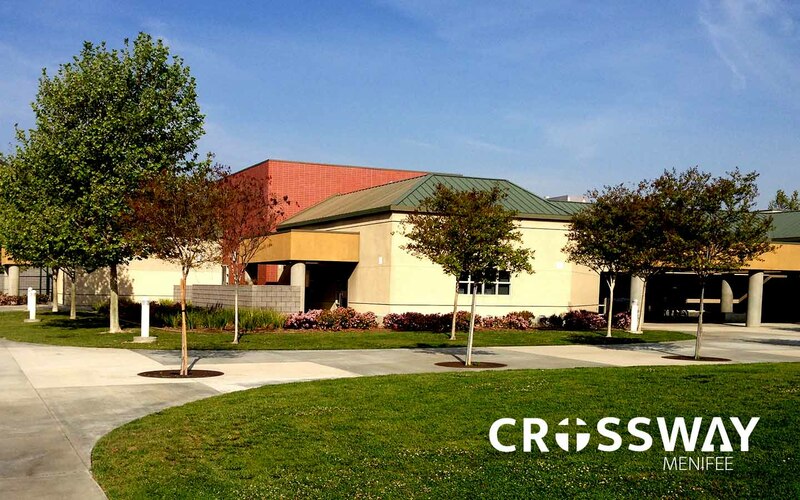 We are pleased to welcome you to Crossway Menifee! We meet Sunday Morning at 8:30 AM and 10:30AM. Bring your Bible! We place great emphasis on teaching the Word of God, and our ministry method is to teach chapter by chapter, verses by verse, through an entire book of the Bible. Our hope is that you would grow in your knowledge of Jesus Christ and apply this knowledge to your life..
"For where two or three are gathered in my name, there am I among them"